7th Annual "My Bloody Valentine" event at Arx Mortis! Looking for something INSANELY different to do for Valentine's Day Weekend this year? Our "My Bloody Valentine" event is great for couples or groups of your favorite friends looking for something fun and different. 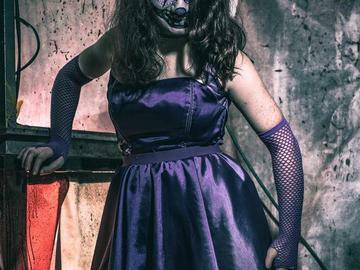 Take a tour through our original 50,000 sq ft indoor haunted attraction with a Valentine twist. This is sure to be a Valentine's Day Weekend you won't forget! *Fastpass upgrades will be available at the ticket window each night. Online purchasers must bring printed E-ticket or show QR code on smartphone for admission.